July 22, 2018 DUNCANPUTMAN.COM MEMBER AREA UPDATE! Added ATHS 2018 National Convention Gallery 3. This gallery contains 28 various images taken during the 2018 American Truck Historical Society National Convention in Lexington, Kentucky! PHOTO CAPTION: A beautiful Brockway model 360, equipped with "Huskiedrive" sits on display at the 2018 ATHS National Convention. Join now to get access to this entire gallery! CLICK HERE to become a Member! Already a member? Click Here to Sign-In to view this gallery now! 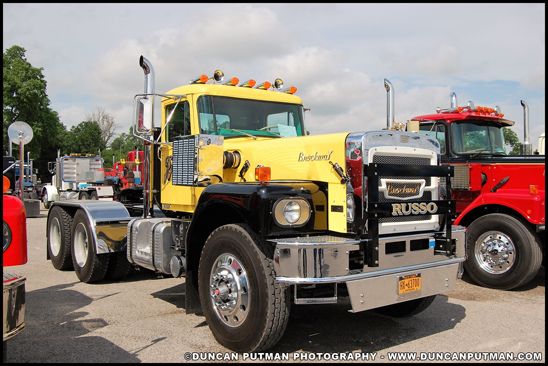 The member only galleries contain over 1000 images of Cool Photos of Cool Trucks! All Photography is exclusive to our website and taken by the staff of Duncan Putman Photography!